Songs that were arrows aimed at the collective heart of nations. Songs that captured the tempo and temper of a generation. Songs that saw two geniuses – John Lennon and Paul McCartney – hunting as one pair to become the greatest songwriting duo in history – and this before George Harrison finally emerged from their oversized shadow. Songs that came to represent arguably the greatest outpouring of melody from one source since Mozart. Not scores of good songs. Hundreds of great songs that are still being analysed, deconstructed and, of course, played today. I was eight when the Beatles came to Australia in 1964 and 300,000 people poured onto the streets of Adelaide to welcome them. I had photos of the Beatles all over my bedroom wall (actually I still have photos all over my wall, although not my bedroom) and I remember crying when my mother went to see them at the Sydney Stadium and told me I couldn’t go. It was as if I’d lost a member of my own family, which in a way I had; only to be repeated 21 years later when George Harrison died from cancer. The Beatles were the stuff that dreams and screams were made of and like millions of boys my age, I learnt to play guitar and sing because of them. 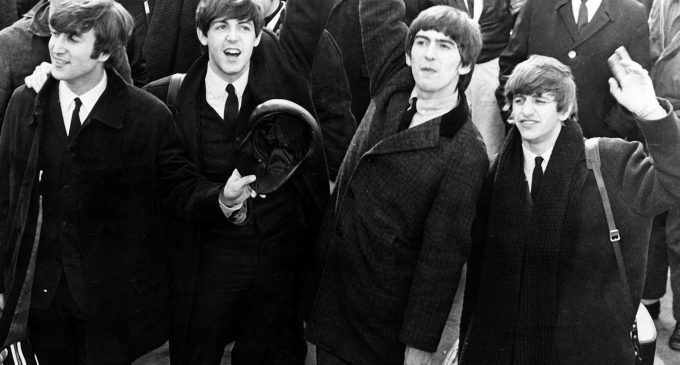 I fell in love to the Beatles. And with the Beatles – George first, then Paul, then John, then George all over again. And, truth is, this love has never deserted me – nor many in my generation – no matter how far we’ve travelled from their phenomenon, in time and space. Of course there were other loves too: the Beatles’ great rivals – the Rolling Stones, the Who, Cream; the Beatles’ successors – Led Zeppelin, Talking Heads and Fleetwood Mac; the Jewish songwriters – Bob Dylan, Leonard Cohen and Paul Simon; the androgynous ground breakers Bowie, Michael Jackson and Prince; not to mention Nick Drake, Tim Buckley, Van Morrison, Cat Stephens and Bruce Springsteen. And all this well before we’d even entered the ’90s. Such a long list of musical loves, but never like that first great love. And now that Paul McCartney is about to arrive on our shores after a near 25 year absence it feels appropriate to reflect on why this should be so, notwithstanding the millions of words already penned about the Greatest Band the World has Ever Known.